Steven Duke is a director of Barken FP Pty Ltd and My Future 1st Pty Ltd, both of which are Corporate Authorised Representatives of Elders Financial Planning Pty Ltd, Australian Financial Services License Number 224645. Steven has been involved in the financial services industry for over 10 years. Over this time, Steven has achieved the Advanced Diploma of Financial Planning and is also accredited with a Certificate IV in Financial Services (Finance/Mortgage Broking). 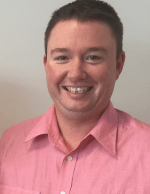 As an Authorised Representative, Steven believes in helping his clients build a comprehensive program to make the most of their earning potential during their working years, as well as helping them with their retirement planning, superannuation, managed investments and estate planning needs. He strives to provide quality advice, personalised service and practical ideas to deliver superior solutions.